New Delhi: A two-day Workshop on Leadership Development in Higher Education for Vice-Chancellors is organized by National Institute of Educational Planning and Administration (NIEPA) from 24th January to 25th January, 2019 in New Delhi today. Union Minister for Human Resource Development Shri Prakash Javadekar inaugurated the workshop through Video Conferencing. The workshop will focus on strategies to improve quality education, etc through sharing of ideas, experiences, case studies and action plans at institutional and national levels. It will have special focus on the role of Academic Leaders in creating incentive system and capacity development of teachers and nurturing a work environment in institutions of higher education. 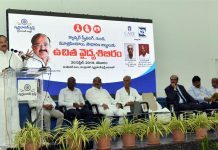 While addressing the Vice Chancellors, the Minister said that the country has put a tremendous faith in us and to meet out the expectations, we must have a vision to shape the future of higher education as well as facilitate institutional transformation. He said our future action plan should focus on improving quality education, developing infrastructure, promoting research environment, promoting usage of technology, etc, to take our institutions to the next higher level. He added that a regular monitoring and seeking reports from different committees should be done in a timely manner. 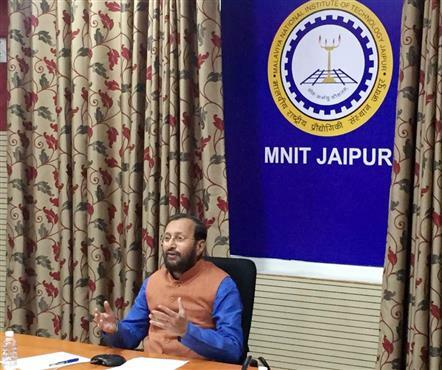 The Minister advised all the Vice Chancellors that as the leader on institution, they must discuss with all the stakeholders like teacher, administration and the students, in any decision making process. He stressed upon the need for the teachers to build a bond with the students to ensure their all round development. He said that there is a need to deliberate upon ways to strengthen the faculty, enhance their competency to deal with managing the changed social and technological context of teaching and learning. Further, we need to understand the ways of developing teaching and research skills along with curriculum planning and assessment practices. He said through this workshop, rich experiences need to be shared and good practices followed in one university may be followed by another set of universities. The Minister expressed the hope that deliberations at this workshop will lead to the constructive education for the empowerment of students.